The compact Windward Island of St Lucia is a classic Caribbean destination; ever-present sunshine in cloudless skies, incredible beaches edged with palm trees, perfectly clear, warm blue sea, thick, lush rain-forest with exotic flora and fauna; happy, friendly locals fuelled by delicious Creole cuisine, fortifying rum and a cricket obsession; the infectious rhythms of reggae, soca and calypso music filling the balmy nights and chilled-out days in a word, ‘blissful’. 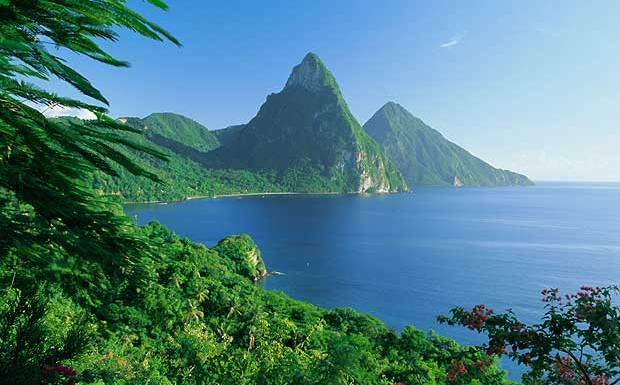 Located between the equally marvellous islands of Martinique and St Vincent, St Lucia is a stunning Caribbean escape, just 27 miles long by 14 miles wide, and dominated by the extraordinary, twin conical volcanic peaks of Gros Piton and Petit Piton, rising dramatically from the sea, swathed in rich greenery. Amongst the great sights of the Caribbean, the Pitons are once seen, never forgotten – but that is true of much of what St Lucia has to offer its visitors. For a start, and sticking with the volcanic theme, St Lucia lays claim to the world’s only drive-in volcano crater! 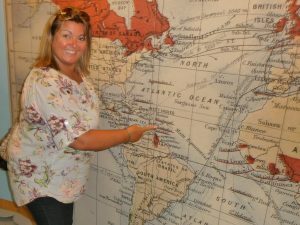 And like all of the Caribbean islands, St Lucia has a long and fascinating history. Down the centuries, St Lucia has seen pirates, invaders, Amerindian tribes and would-be colonists, all scrapping for their piece of turf; the first European interest shown in the 16th century by the notorious French buccaneer ‘Peg-Leg’ Le Clerc, who founded a colony and made his living by plundering passing ships! Thankfully St Lucia has been considerably quieter than those dangerous days of the swash and buckle for a very long time now, but the influences on the island of the French, Spanish, Dutch and British are plain to see – and St Lucia would not be the wonderful place it is without the part they have played in the island’s history. The volcanic nature of the island also means that some of the beaches on Saint Lucia are darker in colour than the classic Caribbean picture postcard, so make sure you let me know if you want to stay somewhere with guaranteed white sand.